Every breastfeeding experience is different for every mama and baby. Whether it lasts for one day, one year, or three. Nobody will understand your journey, and they don’t have to. It is yours and your baby’s, and no one else’s. I know that sometimes my posts or my sharing of information may come off as judgmental or anti-formula. 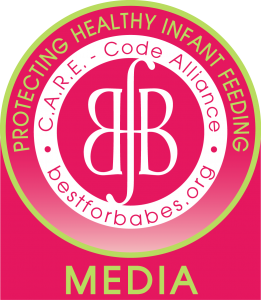 I don’t judge anyone’s experience and I don’t judge the use of formula when breastfeeding seems to fail. I judge the marketers of formula who send coupons all through a woman’s pregnancy making it an easy alternative, when they are only trying to make a buck and sway you to their product. I judge them for sending out free cans of formula specifically for supplementation making a woman doubt her body before she’s even given a chance. I judge our doctors and healthcare providers who don’t educate themselves enough to support our natural ability. I judge them for making mothers feel unable. I judge them for telling mothers they can’t breastfeed because of their birth experience or because of medications they have prescribed, when there are almost always alternatives that can be safely taken while nursing. I judge them for making the progress of a baby a one size fits all approach. I judge employers who tell a mother that she can’t take the breaks she needs to pump for her child, when it is her legal right to take as many of those breaks as she needs. Knowing the statistics..knowing that there is only a 2% chance that a mother will be truly unable to breastfeed and knowing so many women that have been told that they are or will be unsuccessful makes me irate. Not at the mothers. We all know, that as mothers, we are just trying to do what is best for our babies. I am angry at these people who claim to be our support system and are not. It saddens me that to be successful, you must educate yourself, because looking for answers from others will lead you down a road of failure. I know I’ve gone on a crazy tangent that hardly relates to the picture I’ve shared, but just know that regardless of all these people that make breastfeeding difficult, when it is already difficult enough..I support every mother in her journey. One day or 400. Skin to skin or exclusively pumping. Don’t let anyone shame you for your experience. Do you have your own story to share? Please share with me (here) and I may feature it on my blog! Don’t forget to sign up for the BFMT monthly Newsletter sponsored by Fairhaven Health! Just submit your email below!